Q. We’re planning to move the TimePilot database to a new server. How do I tell the TimePilot Central software where to find it in its new location? A. After moving the database, start TimePilot Central and on the opening screen, before you enter your username and password, click the gray “Change Location” button at the bottom right corner. On the next screen that appears, click “Open an Existing Database.” Navigate to the database's new location and double-click on the tpData.mdb file there. This will tell the software the location of the moved database and take you right back to the login screen. Now log in as usual. Q. Why isn’t my TimePilot Vetro clock showing clock-ins in real time now that I have the clock connected to our network? A. You probably don't have Vetro Data Manager (or Clock Manager—the name differs depending upon the version of our software) running. Vetro Data Manager and Clock Manager are programs that allow the clock to talk to the TimePilot Central software. If the manager isn't running, the two aren't communicating. To start Vetro Data Manager/ Clock Manager, go to the "Setup" menu at the top of the TimePilot Central screen and click "Vetro Data Manager" (or "Clock Manager"). Note: If you're running TimePilot Professional Edition or TimePilot Enterprise Edition software, you have the option to run the software as a service on your server, which means you don't have to keep Vetro Data Manager/ Clock Manager running on your PC. For details, click here. Q. We’re always looking for ways to make our TimePilot system run more efficiently. Any advice? A. The best advice we can give you is to ensure you are performing pay period extractions every pay period and to run our built-in database maintenance tool periodically. The database maintenance tool will remove any database bloat and correct any minor corruption that may contribute to slow performance. You can access the database maintenance tool from a computer running TimePilot Central by going to Start > All Programs > TimePilot IV > TimePilot Support Utility > Database Maintenance. Time is the fourth dimension: Simply stated, the first three dimensions are used to specify an object’s location/movement in space (forward-backward, left-right and up-down), while the fourth dimension locates its position in time. All four dimensions are used to specify completely the location or activity of an object in space. Humans, being three-dimensional creatures (possessing length, width and height), are unable to see the fourth dimension, but perceive the fourth dimension as memories lodged at variable intervals. It's time! (hey—we're based outside Chicago): The last time the Chicago Cubs won the World Series (October 14, 1908), a “World War” had never occurred, the Ottoman Empire still existed, the Titanic hadn’t even been built and the Ford Model T automobile was two weeks old. The Cubs clinched the series by beating the Tigers in Game 5 in front of 6,210 fans at Detroit’s Bennett Park, which had a capacity of 8,500. TimePilot Q&A: Moving the database to a new server. TimePilot Lead Story: Creating multiple levels of access. 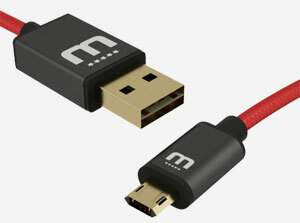 Cool Stuff: MicFlip USB Cable. The Deal: 15% off extra TimePilot clocks. In many organizations, whether it’s for privacy or security, it’s sometimes better if everyone doesn’t know everything. That’s the idea behind the multiple login feature of TimePilot’s Enterprise Edition software. For instance, if you own a business, you might want complete access to your TimePilot system: the ability to add and delete employees, reset the time on your clocks, change any employee’s transactions, etc. However, you might also want to limit your supervisors’ view of clock-in and clock-out data from other departments, or limit their ability to modify transactions within their own department. And perhaps you want your team leaders to be able to see their team’s clock-ins and clock-outs, but not be able to make any changes to them. If you have Enterprise Edition, you can set up these permissions. Each supervisor and team leader will have their own login to TimePilot Central that will limit their access to just the permissions you’ve granted them. In this example, the fire chief has complete access, the day and the night shift commanders can see and make changes to the transactions generated only by the firefighters on their shift, and the individual lieutenants are limited to only seeing the clock-ins and clock-outs of the firefighters in their area of responsibility. The instructions include screenshots and examples of common situations. The page is a part of the TimePilot Central Help files, and we urge you to visit them the next time you're using the TimePilot Central software. Just click the "Help" menu at the top of the screen and then click "Help." You can also see the help files on our web site. Click the Help menu at the top of the screen. In the drop-down menu that appears, click "About." Your version (Retail Edition, Professional Edition or Enterprise Edition) and version number will appear. If you have the Retail Edition or Professional Edition and want to upgrade to Enterprise Edition to be able to use this feature, click here or contact our Sales Department at 630-879-6400. These clocks do not include software and are intended for current TimePilot users only. You'll need a TimePilot Starter Kit (Extreme Blue, Extreme Blue Enhanced, Vetro or Tap+) to use these clocks. These prices are available for a limited time. To learn more about the deal, click here, visit www.TimePilot.com/newsletter/newsletter4.htm or call us at 1-630-879-6400. When you plug a USB cable into your computer, how often do you get it right side up the first time? If you're like us, the answer is a lot less than 50%. The MicFlip solves that problem. It's a six-foot USB cable with a standard USB plug on one end and a microUSB plug on the other. The genius is that they've engineered the plugs so that whichever way you plug it in, it works. No more reaching blindly behind your computer trying to flip the plug to get it into the USB port—it just works every time. One of our tech support specialists found it and recommends it highly. © Copyright 2016, TimePilot Corp. All rights reserved.